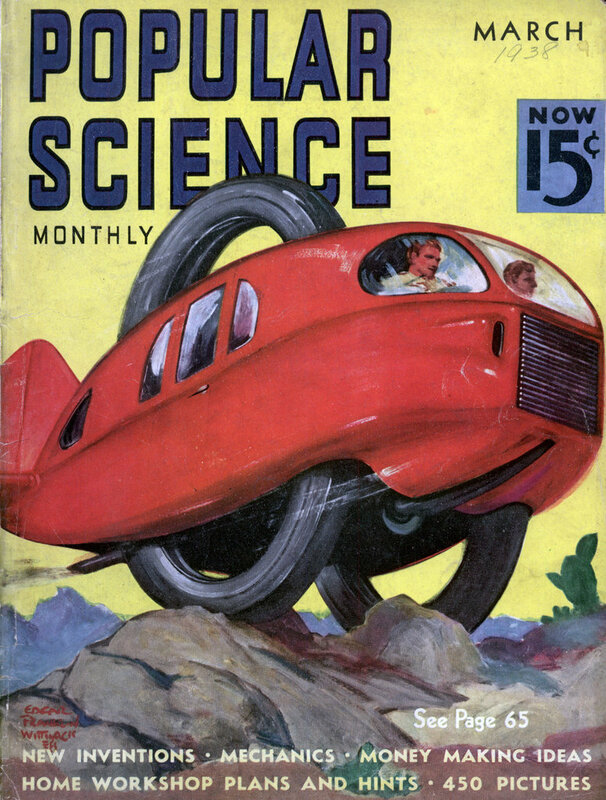 Lucien Littlefield (1895-1960) had quite the career. I knew of him from his two totally different performances with Laurel & Hardy. NEW FEATURES MOLDED TO SUIT ANY CHARACTER. 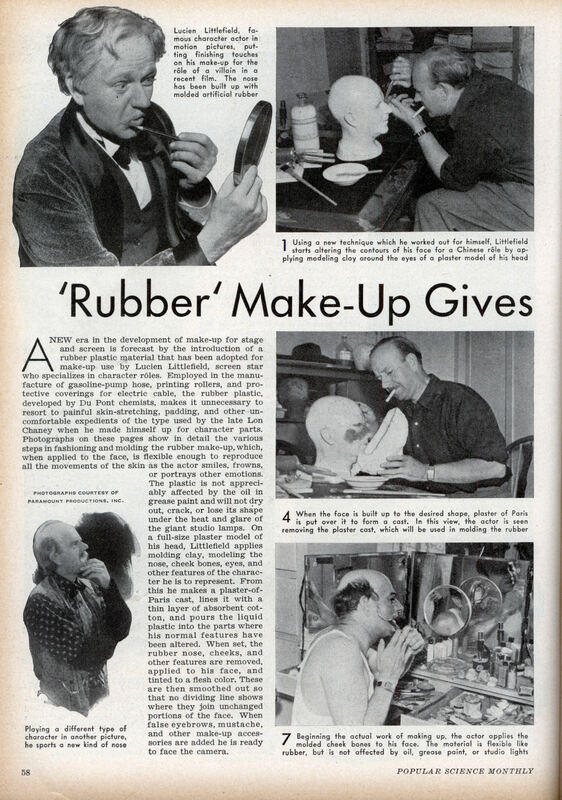 A NEW era in the development of make-up for stage and screen is forecast by the introduction of a rubber plastic material that has been adopted for make-up use by Lucien Littlefield, screen star who specializes in character roles. Employed in the manufacture of gasoline-pump hose, printing rollers, and protective coverings for electric cable, the rubber plastic, developed by Du Pont chemists, makes it unnecessary to resort to painful skin-stretching, padding, and other uncomfortable expedients of the type used by the late Lon Chaney when he made himself up for character parts. Photographs on these pages show in detail the various steps in fashioning and molding the rubber make-up, which, when applied to the face, is flexible enough to reproduce all the movements of the skin as the actor smiles, frowns, or portrays other emotions. The plastic is not appreciably affected by the oil in grease paint and will not dry out, crack, or lose its shape under the heat and glare of the giant studio lamps. On a full-size plaster model of his head, Littlefield applies molding clay, modeling the nose, cheek bones, eyes, and other features of the character he is to represent. From this he makes a plaster-of-Paris cast, lines it with a thin layer of absorbent cotton, and pours the liquid plastic into the parts where his normal features have been altered. When set, the rubber nose, cheeks, and other features are removed, applied to his face, and tinted to a flesh color. These are then smoothed out so that no dividing line shows where they join unchanged portions of the face. When false eyebrows, mustache, and other make-up accessories are added he is ready to face the camera.